The Poster Monday spot of the day goes to Mina Bakliža from Kragujevac, Serbia, for the poster “Medea”. Mina was born in 1983. She is a freelance graphic designer and is currently doing her master’s thesis at the Faculty of Philology and Arts. So far she has taken part in several national and international art and design exhibitions. These include the Strelka International Design Biennale, Golden Bee, Trnava Poster Triennial, Ecuador Poster Bienal etc. Mina loves creating posters and packaging. The opportunity to do a summer internship in her hometown two years ago has also intensified her interest in theatre and all things related to it. Since then, she has created visual identities for several plays in Kragujevac and Belgrade, too. In Greek mythology Medea is an enchantress, one of the characters in the myth of Jason and the Argonauts and their quest for the Golden Fleece. Betrayed by Jason, she decides to take hideous revenge on her husband by killing their children, thus killing one part of herself, too. “My plan was to create posters for three ancient Greek theatre plays in which the main characters are women (Antigone, Medea and Niobe). They all have different origins, personalities, weaknesses and strengths, all of which result in their different downfall.” says Mina. If you would like to know more about Mina Bakliža visit her behance account. If you would like to submit a poster to be featured on Poster Mondays find all the info you need to participate on our submissions page. For this first spot today we have the poster Offside designed by Slavimir Stojanovic, a Belgrade based graphic designer; Slavimir studied graphic design in Belgrade, Gotheborg and Ljubljana. In 2012 she started her own street wear brand Futro. In September the Museum of Applied Arts in Belgrade showed a 30 year retrospective show titled Complicate Simply, accompanied by a 300 page book that accompanies the show. The poster was produced for the Belgrade Cultural Centre, which organised an art show titled Offside, during the soccer World Cup last year in Brasil. Several local and international visual artists were invited to produce artwork with the topic of soccer and, as always, art was in an offside position in relation to sports and real life. 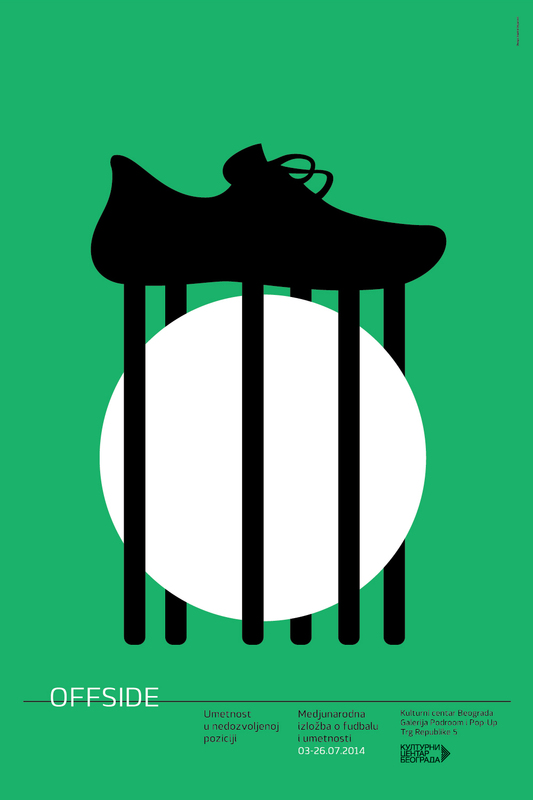 “This poster forces you to think about the subject, it was done in a mass-communications manner, with usual symbols most of the people relate to and because of its clean lines, bold colors and instant sport recognition, it definitely generated attention the art show needed, since it was plastered on the walls in the very centre of Belgrade city” says Slavimir. If you would like to see more from Slavimir’s work visit her personal Web page. Remember that if you would like to see your work featured on Poster Monday visit our submissions page and send us your work. 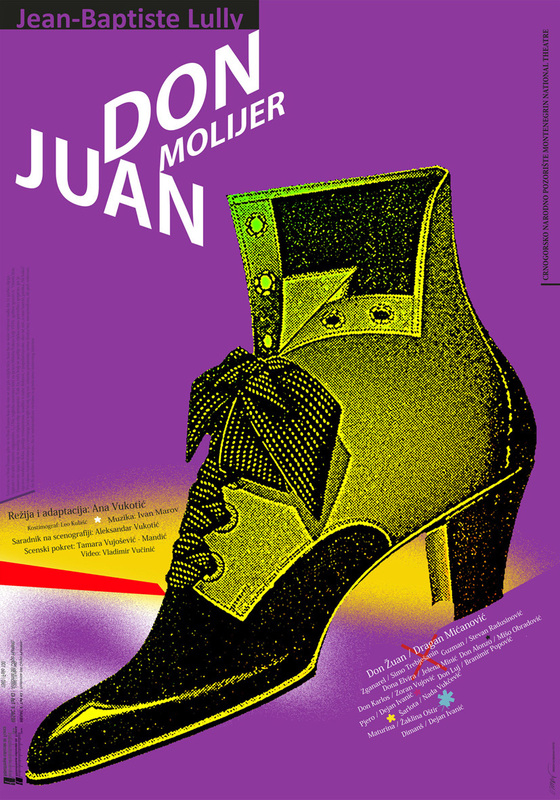 The second Poster Monday spot of the day comes from Serbia, it’s entitled Don Juan and belongs to Slobodan Štetic. Slobodan was born in Jagodina. He graduated from the Department of Graphics in the Faculty of Applied Arts. He is a full professor at the Faculty of Philology and Arts in Kragujevac. He’s had hundreds of one-man shows and group exhibitions of graphic design, photographs, paintings and illustrations across Europe and Serbia. He designed many books of poetry, fiction, science and art. He is a member of the Association of Applied Arts Artists and Designers of Serbia (ULUPUDS). 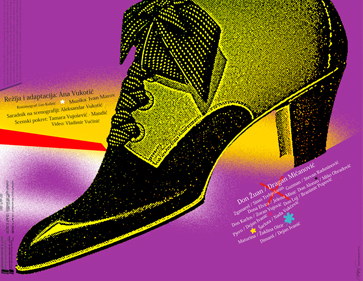 Mirko Ilic talks about Slobodan’s work: “One of the interesting aspects of Slobodan Stetic’s poster design is his use of two opposing elements. On the one hand he employs minimum nineteen-century and early twenty-century black and white engravings, while on the other hand he applies many digital effects. This combination creates visually rich multi-layered texture and pictorially saturated surface: poster-fireworks”. If you would like to see more projects from Slobodan, visit his personal behance page. If you would like to see your posters featured in our Poster Monday section, please visit our submissions page and send us your work. 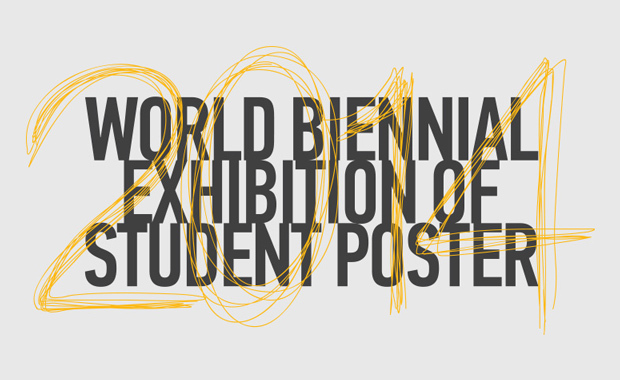 Check out the list of selected poster designers for the 6th World Biennial of Student Poster in Novi Sad. Congratulations to everyone selected from the Poster Poster team! We received this poster and message yesterday from Borko Nerić to help the Serbia Flooding problem. 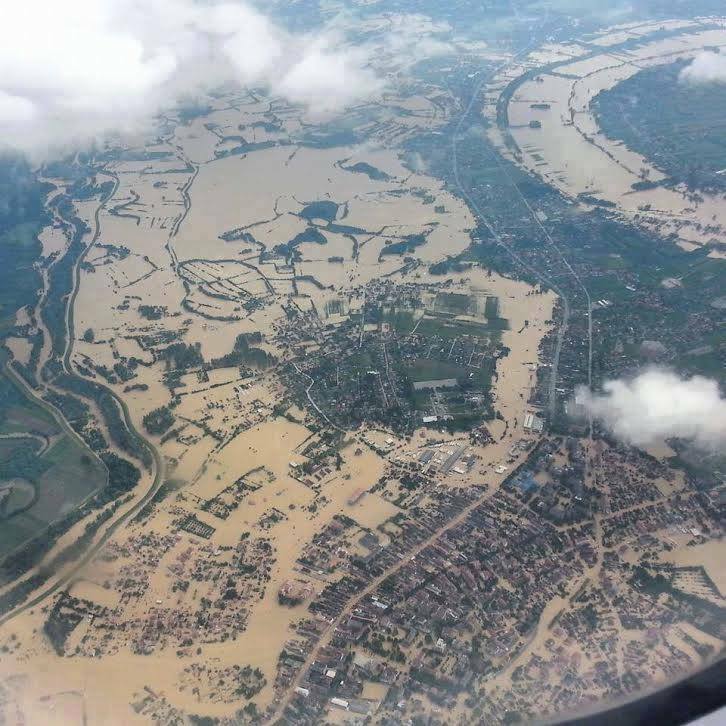 You can donate here for humanitarian aid for the flood victims.